„QLOCKTWO TOUCH“ is a precision table clock with an alarm function and comes from BIEGERT & FUNK. 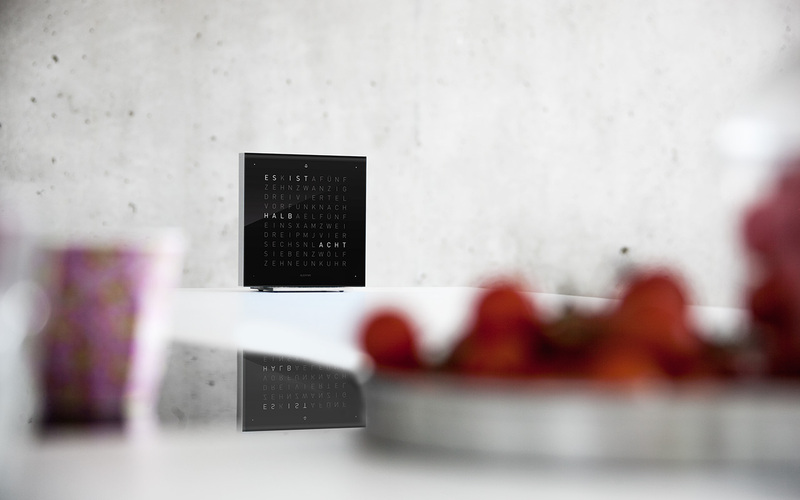 The clock shows the actual time with a matrix from letters in written words – just as its big sister, the QLOCKTWO CLASSIC. A special silkscreen process gives a high definition look to the letters illuminated in brilliant white LEDs. The monolithic corpus is milled smoothly from a single aluminum block. The ensemble represents a milestones in the design of table clocks.